Could you give a REAL ELF a home? HIGH QUALITY ELF DOOR – Our solid wood Elf doors open up a whole world of imagination. 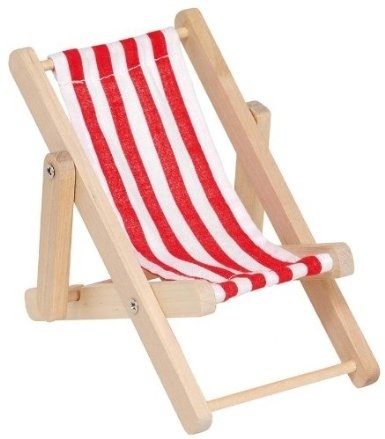 A beautiful addition to any home. 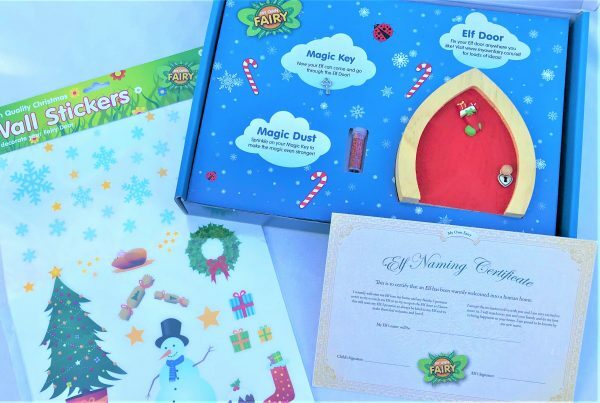 Imagine hours of endless fun for you and your child as you invite a Christmas Elf or Fairy into your home. 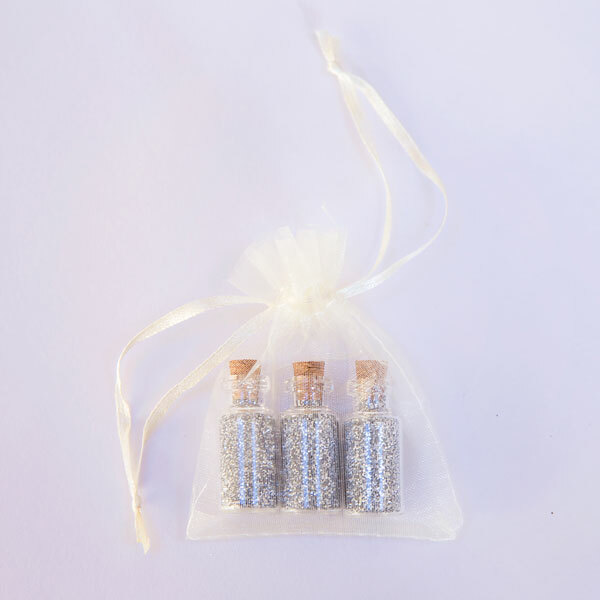 Write letters or leave out treats and let your imagination run wild. LOADS OF ELF DOOR EXTRAS – Your Elf Door comes bursting with extra Christmas Elf goodies. 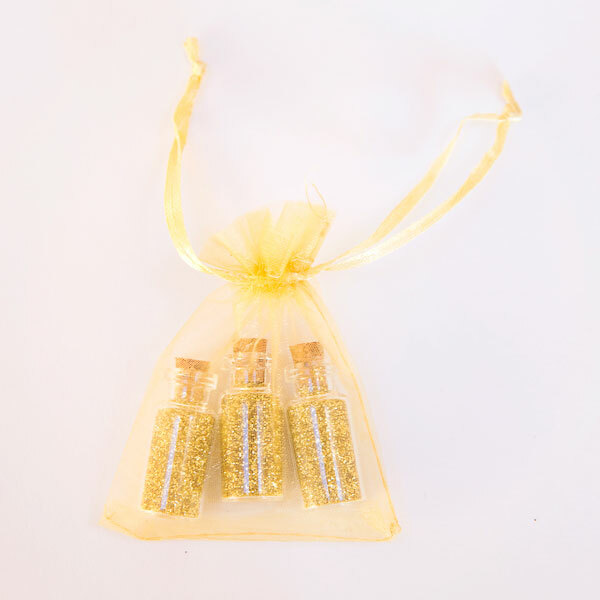 You get a MAGIC KEY, a tiny bottle of MAGIC DUST, an ELF NAMING CERTIFICATE so you can give your Elf a special name, MEMBERSHIP CARD to the Elf club and a TINY ELF CARD so you can write to your Elf. 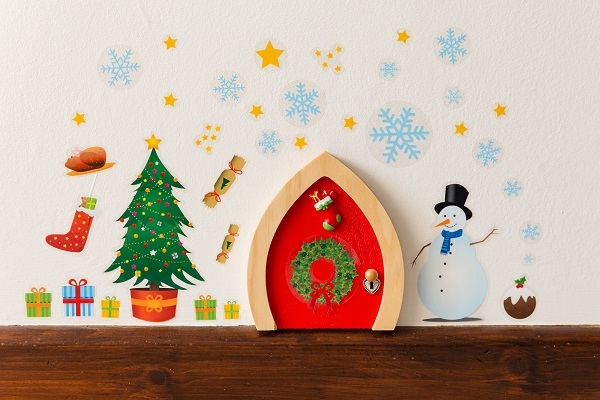 We have also included FREE CHRISTMAS WALL STICKERS to decorate around your Elf Door. 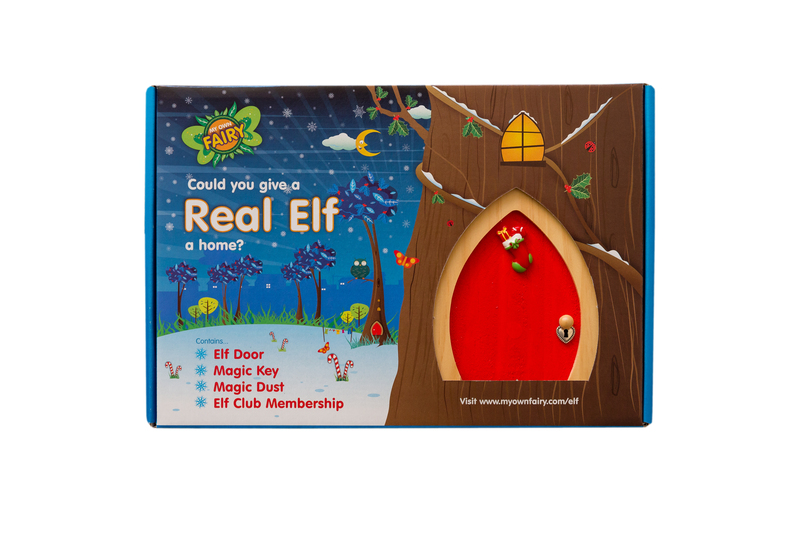 EXCLUSIVE ELF CLUB MEMBERSHIP – Your Elf Door includes a membership card giving you exclusive access to the online Elf Club. 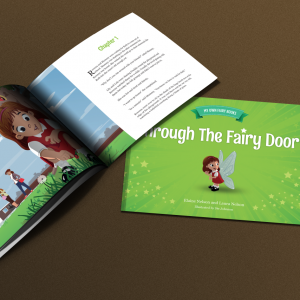 There are loads of fun activities as well as a 10 CHAPTER ONLINE STORY BOOK! Simply type in your special code and away you go! 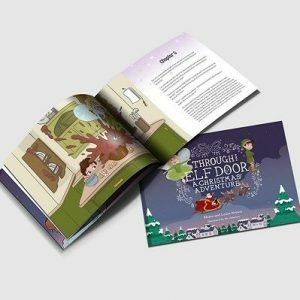 FREE WALL STICKERS – Included with your Elf Door you get a free set of beautiful Christmas Elf Wall Stickers. 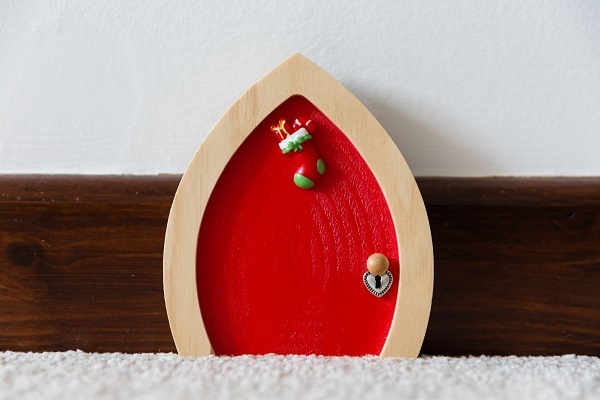 The perfect way to decorate your Elf Door and make a beautiful home for your Christmas Elf. 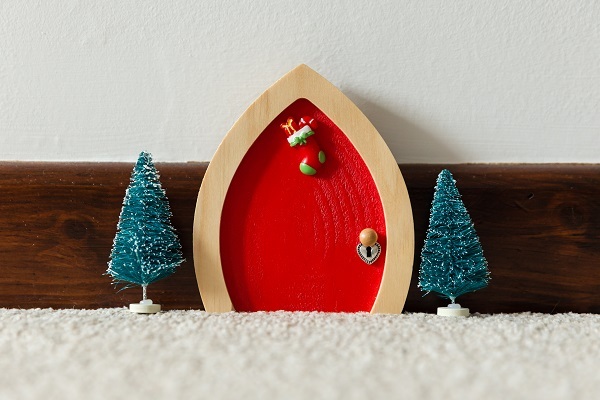 MADE IN THE UK – Our Elf Doors are handmade in the UK with lots of love and a sprinkle of magic dust. 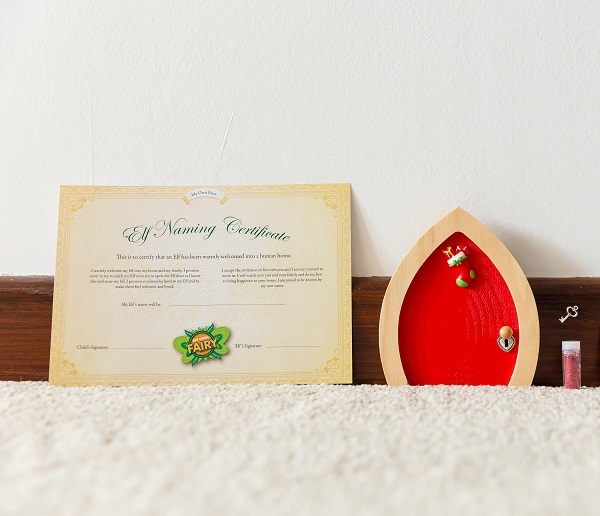 We use only the highest quality materials to make our Elf Doors here at Fairy Towers in Manchester, England.